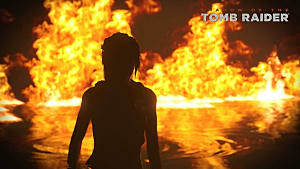 Shadow of the Tomb Raider is a long game if you're a completionist. From gear and survival caches to treasure chests and murals, there are tons of collectibles to be had. As you play through the game, you'll come across various crypts, many of which you can find either by exploring or finding maps. There are 10 in all and each of them has a unique piece of gear you can't find anywhere else. These vestiges (gear) carry certain perks with them that give Lara buffs during combat or help her make better use of here survival instincts. Some even help her find resources more easily. You don't need these to beat the game, but they do help out. Just like challenge tombs, you should be completing these as you come across them to maximize your playthrough and end-game power. 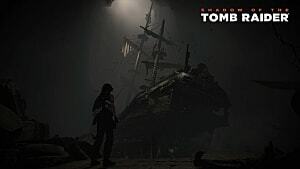 In the guide below, we'll go over where you'll find each crypt, how to get inside it, and what vestiges or collectibles you'll find in the sarcophagus at the heart of each of them. We've also included video walkthroughs to each of them to better help you get them done faster. Be sure to check out our other guides an the bottom of this article. The first crypt in the game is located near where you first begin in the Peruvian Jungle area. After you've created/found your first base camp, face the wreckage in the small pond in front of you. Go right along the shoreline and climb up onto the small cliff there. Use your bow and rope arrow to pull down the wooden wall and proceed inside. Once you reach the first juncture, use the lever to the right to open the gate in front of you. Follow the path around, minding the rope trap about halfway down, to find a mural. From the mural, go right and follow the path around to the end. Open the gate there to make a shortcut back to the beginning of the crypt. Turn around and look for the fissure in the wall to the left. Go inside to find a handful of collectibles. Go back to the mural and go straight ahead. You'll slide down the embankment and find the sarcophagus in front of you. Inside, you'll find the Eveninstar's Boots, a piece of leg gear that lets you harvest more natural resources from each source (plant, animal, etc.). You'll find this crypt after you've located Jonah near the rest of the plane wreckage (after you've moved on from Crypt #1). From the base camp, don't follow Jonah yet. Instead, go back down toward the area with water. Swim across and climb up onto the opposite embankment. Go straight along the shore to the rock wall in the back of the area. Climb up and use the tree branch to swing across to the other side. Now you'll notice a little pond in front of you and the larger water area to your back. Swim across the little pond area and tear down the wall you find in the back. Go through and make sure to nab the collectible to your right about halfway down. As you continue along, use your bow and rope arrow to pull down the wall. Before you go in, look to your right to find a mural. Now, go through the pathway you just opened up. Continue along and go left when you meet the gate. Watch out for the trap here by cutting the rope. After you've disarmed it, follow the path to find another collectible. From the collectible, turn around and look at the left wall; you'll see a small opening there. Go through it. On the other side, use the lever on the far wall to open the gate that just blocked your path a moment ago. Go further down the wall to find another lever that will open another gate blocking your way. Next, traverse the climbing area and make your way to the top, minding a few traps along the way. Once there, you'll find another sarcophagus. Inside will be your next vestige, Eveningstar's Cape. This piece of gear increases the duration of perception herb effects. You'll find two crypts in this area. You can find the first one by beginning at the Kuwaq Yaku campfire in front of the restaurant/bar where you leave Jonah after arriving in the area. With the restaurant/bar to your back, go straight. When you get to the bridge, jump off the left side and swim to the shore in front of you to the left. When you get there, go straight ahead into the cavern. Dive and swim to the very end of the cavern and climb the ledge to the left. Follow the path around, making sure to get the collectibles along the way. When you enter the structure at the end of the path, turn left to find a map at the edge of the room. Continue through the area to find a mural in the next room. After you pass the mural, slide down the embankment. Make sure to miss the big spike walls as you go down. They alternate left, right, left. At the end, you'll need to jump and use your grapple ax to rope swing across the chasm. Go straight ahead to find the sarcophagus. Your reward will be the Nine Strides' Boots. This gear will let you harvest more man-made resources from each source (downed enemies, etc.). Crypt 4 is also in the the same area. 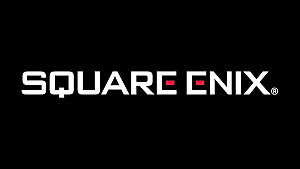 This will be the easiest Crypt to find and open in the entire game. However, you will need the shotgun before you can open it, so you'll need to progress through the game a bit more before circling back to this one. Once you do get the shotgun, go to Hunting Grounds base camp. Face the exploding barrel near the campfire and go straight ahead, hugging the bank along the way. When you get to the end, you'll find the crypt on the left. Blast open the wooden barrier and find the sarcophagus inside. You'll get the vestige Condor Cowl of Urqu for your efforts. This gear increases the duration of focus herb effects. This crypt might be the hardest to find in the game. Unless you're eagle-eyed, there's a substantial chance you'll overlook this one. From the campfire at the Temple of Kukulkan basecamp, walk straight toward the bridge. Instead of crossing it, walk to the right, toward the edge of the cliff. Once at the edge, climb down over the side and rappel down further. Swing jump across to the rocks on your left. Once there, crawl through the opening and follow the path. Right after you crawl through the next space, you'll slide down into the chamber below. As you pass through, make sure to grab the collectible on your right -- across from the mural. Next, go through the room and jump on the counterweight in front you (the one in the room with all the bodies and the deep pit). Ride the counterweight down to the room below. Just ahead on your left you'll find the sarcophagus. Inside will be the vestige: Yaway's Wooden Greaves. This gear provides extra protection against fire and knockdowns. Be sure to keep an eye out for collectibles as you make your way out of the crypt. To see how to get all the way through -- and what traps and minor puzzles await, check out the video above. This may not be the actual sixth crypt in the game, as you can find other crypts earlier on in the Hidden City. However, we've put it in this slot because you will come across it as you progress the story, putting it the fifth in line if you're plugging through the narrative. Once you infiltrate the cult and finish the cut scene with the game's main antagonist in the upper city temple, you'll find yourself on the cliffs overlooking a raging river. Once you make it to the other side, though, don't go right toward your objective. Instead, go left and climb up the cliffs until you reach the end of the path. There, you'll find the entrance to the next crypt. Go in and rappel down to the bottom of the cavern. 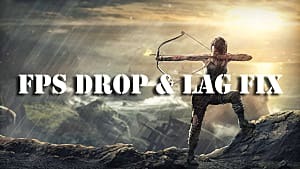 Use your bow and rope arrows to pull down the wood barrier in front of you. Keep going and climb to the top of the cliffs along the path. When you get to the top, rappel and swing-jump across to the precipice with the gate. Make sure to be careful because you can fall off the edge since it's so shallow. Go through the gate and to the end of the path to find the sarcophagus. Ch'amaka's War Vest will be your gear reward. This provides increased protection from melee attacks. This one can be somewhat of a pain to get to if you're not paying attention to the lay of the land. Go to the Abandoned Village base camp. From the campfire, follow the path as it curves slightly to the right then straight ahead. When you reach the stone archway ahead, look for a ladder hanging from the building to the right. Climb up the ladder and follow the roof line to the left. Jump to the tree in front of you, then jump to the elevated stone wall in front of that (just to the right of another stone archway). Go straight ahead and connect the two rope pillars to create a pathway across the water below. Climb up the cliffs and look for the crypt entrance at the top, tucked away in the rock to the right side. As you follow the path, make sure to cut the rope for the trap that's just past the crouching section, then when you get to the well, check either side for collectibles before jumping in. After jumping into the well, swim down and look for the opening along the edges. Go through this opening and swim all the way to the wooden barricade at the end. If you look to the left of the barricade, in the part of the cave that bulges out to the left, you'll find a collectible on a stone altar carved into the wall of the cave. Once you're ready, tear down the barricade and proceed. At the end, you'll come to a set of steps. Ascend these and look for collectibles in the room you're in. When you're done, continue up the stairs and the sarcophagus will be at the top. Your reward will be Manko's Boots. These provide concealment when hunting predators. You can only open this crypt by starting the side mission "Star Crossed", which you get from Uchu in the Skull Cave. After you've completed the first part of the side mission, you'll be tasked with finding the Savior's Amulet. You can get to the area in which this crypt is located earlier, but the entrance will only open when you begin searching for the Savior's Amulet. From the Fishing District campfire, look right along the bank of the lake. Climb the tree between you and the the closest hut. Climb all the way up the cliff face and grab all of the collectibles at the camp at the top. Look along the cliff face to your right to find the entrance to the crypt. Once inside, follow the path and crawl under the spear trap. However, be careful not to fall into the pit trap that lies just beyond. Grab the mural at the end of the path and use your pick ax to open the wall to the left. Go through and disarm the traps along the way (be careful rolling under the first spear trap because it's easy to trigger the one right after it). On the other side of the traps, grab all the collectibles in the room and climb up the left side of the wall in front of you. When you drop down, you want to go straight. However, you can go right into a chamber, then right again (crawling under a door) to reach another chamber with gold inside. Go back to the primary path and follow it to the bridge leading to the sarcophagus. Don't celebrate yet -- this is where things get a bit tricky. The bridge will collapse when you try to cross it, plunging you into the water below. Swim down and find the hole in the wall to reach another part of the area. Once inside this part of the temple, look to your right. On the back right side, you'll see a lever. Push it to raise the water level. Swim through the door at the opposite end, swim to the surface, then swim across to the the next room. Inside this room, you'll find another lever on the back right side. Throw it and swim as fast as you can back to the door you came in through before it closes. You'll repeat the process a third time, except you'll swim through a hole in the ceiling this time as the doors shuts too quickly. Break down the barricade, swim through the crack in the wall, and surface at the sarcohpoagus. You won't get a vestige for this one. Instead, you'll 125 exp and 750 salvage. This crypt is near the entrance to the Challenge Tomb in The Wild Jungle area of the Hidden City. From the base camp, go left, following the Challenge Tomb markers. When you get to the deep water, turn left again and climb up the embankment and then the tree. Traverse the cliff face past the waterfall. When you get to the top, turn right and enter the crypt. Be wary of the floor trap when you enter. Jump over it and pick up the collectible. Go through the crack in the wall and pick up the collectibles in the next room. Follow the path straight for a vein of gold or follow the path to the right to the next area. At the end of the path, jump down to the bottom of the chamber. There will be a wall to break with your pick ax to advance. Turn to the left and climb up to find a collectible. And look to the wall opposite the breakable wall to find a mural. Go through the breakable wall and swing over the pit trap just inside. Follow the path down and pass a climbable wall to your right. Go this way to continue or turn left to go to the end of the path for a collectible. Back on the main route, traverse the wooden beams at the top of the cliff to find the sarcophagus. Your reward will be the Greaves of Six Sky. These make your health regenerate faster. To access this crypt, you'll need to start the side mission called "Explore the Local Mysteries", which you can get from the two explorers near the river, to the left of the RIverside campfire. Like Crypt 7, you can find the entrance to this one at any time, but it will not open until you start this mission. From the two explorers, cross the river and follow the path past the wolf den. Go up to the cross next to the den and press in the cross on the pedestal. Enter the crypt and rappel down. When you get to the second drop, you can just jump down since there's water below. Swim over to Isabella. The sarcophagus will be next to her. Open it to get Kantu's Gilded Vest, which gives you more experience for hunting. Make sure to watch the video above to get all of the collectibles that are strewn along the crypt's exit path. 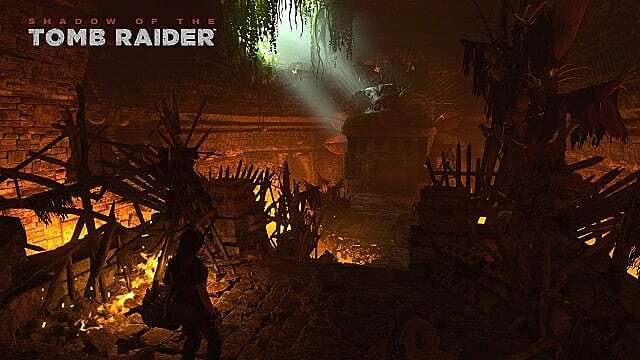 That's every crypt in Shadow of the Tomb Raider. Be sure to check out our other walkthroughs and guides for collectibles, best skills, and solutions for Challenge Tombs.